Sometimes, the only feasible answer is that the engineering team pulled a rabbit out of a hat. 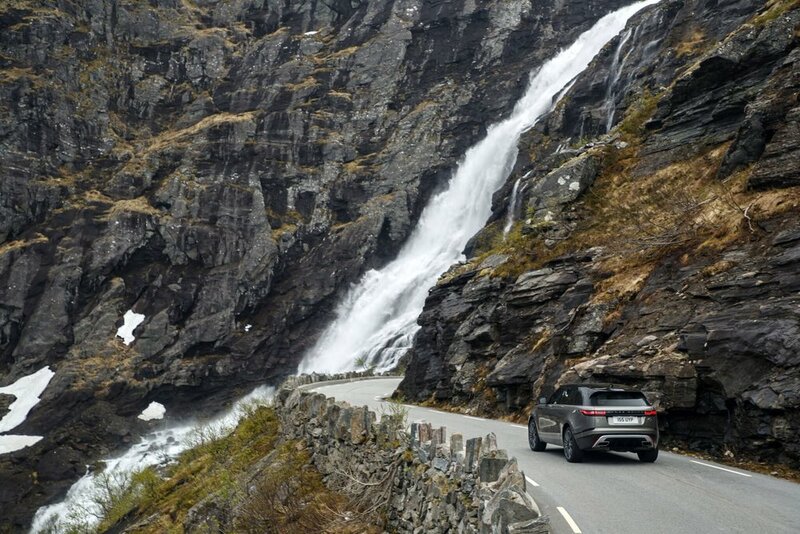 Witness the Velar, a car that manages to sit between the Evoque and Range Rover Sport, combining the playfulness of former with the more spread-out luxury of the latter. It’s quite a combination. 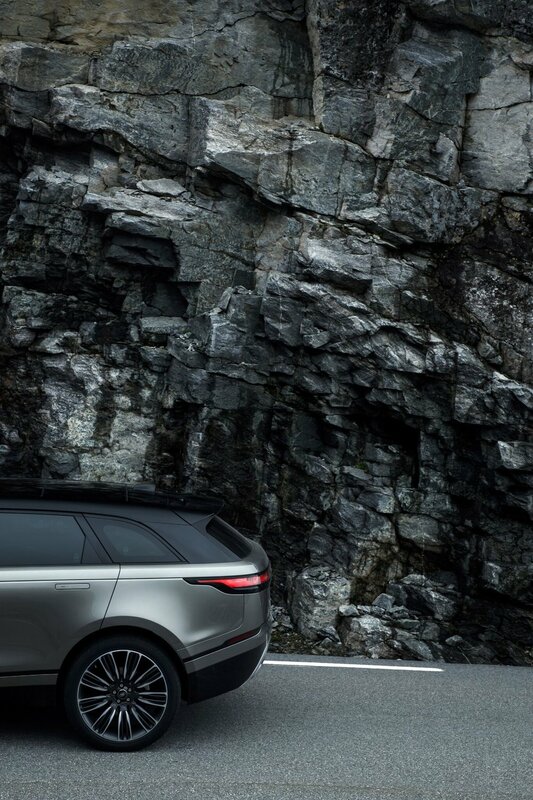 Borrowing from the revelation that was Evoque, Range Rover Velar brings a new dimension of glamour, modernity and elegance to the Range Rover family. 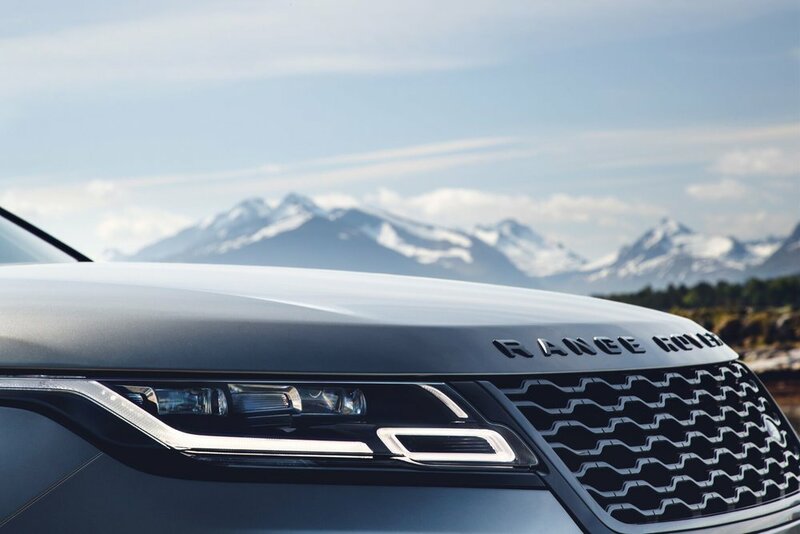 Designed to fill the white space between the Range Rover Evoque and Range Rover Sport, the Velar brings extreme levels of luxury, refinement and all-terrain capability to the mid-size SUV segment. This is a new type of Range Rover for a new type of customer. Jaguar Land Rover says the Velar is designed from scratch, but does use their Lightweight Aluminium Architecture; its light, stiff, aluminium-intensive body structure enhances performance, agility and efficiency. 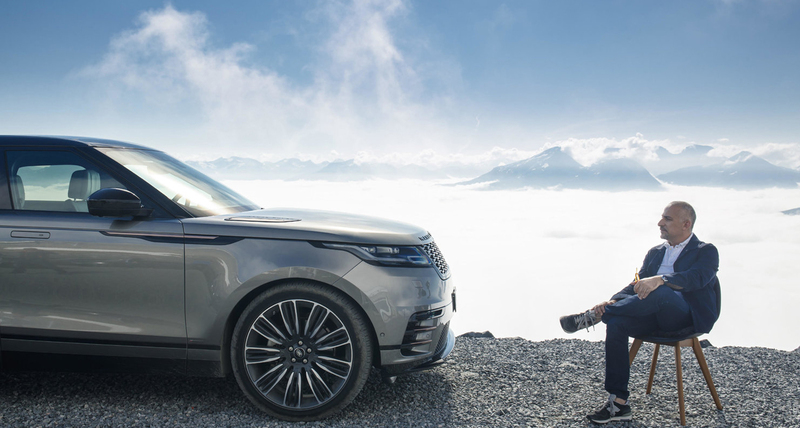 Velar is defined by a visually reductive approach and meticulous attention to precision in every detail, which evolves Range Rover DNA and previews the next generation of Range Rover vehicles. All told the Velar will offer five engines, but the three diesels aren’t relevant here. We’ll get the 2.0-litre, four-cylinder turbo good for 247bhp, with a tuned 296bhp iteration set to follow in time. Topping the range is a supercharged 3.0-litre V6 that puts out 375bhp and, according to JLR, masters the 0-100 sprint in 5.6 seconds, topping out at 155mph. The V6-powered models include air suspension as standard while all models get standard adaptive dampers. In each case, power is managed by the smooth-shifting ZF eight-speed automatic transmissions and all-wheel drive with Intelligent Driveline Dynamics. The Ingenium petrol engine is a technology forward proposition, with an electrohydraulic valvetrain, integrated exhaust manifold and twin scroll turbocharger with ceramic ball bearing technology. The goal, it seems, is to meet tightening emission standards while delivering the kind of performance JLR customers demand. According to Nick Rogers, Land Rover’s Director of Product Engineering: “Ingenium has been developed as a modular family of powerful, efficient and refined all-aluminum petrol and diesel engines. All Ingenium engines deliver benchmark low levels of friction, contributing to inherently good efficiency and refinement.” Using a common architecture based on a 500cc per cylinder displacement delivers both maximum flexibility and scalability. This enables a range of derivatives to be developed to suit applications as diverse as sports saloons and luxury SUVs. The generous wheelbase contributes significantly to its elegance while helping to provide a spacious interior— the 2,874mm wheelbase and intelligently-designed interior delivers an impressive 673-litre luggage compartment and ample space. 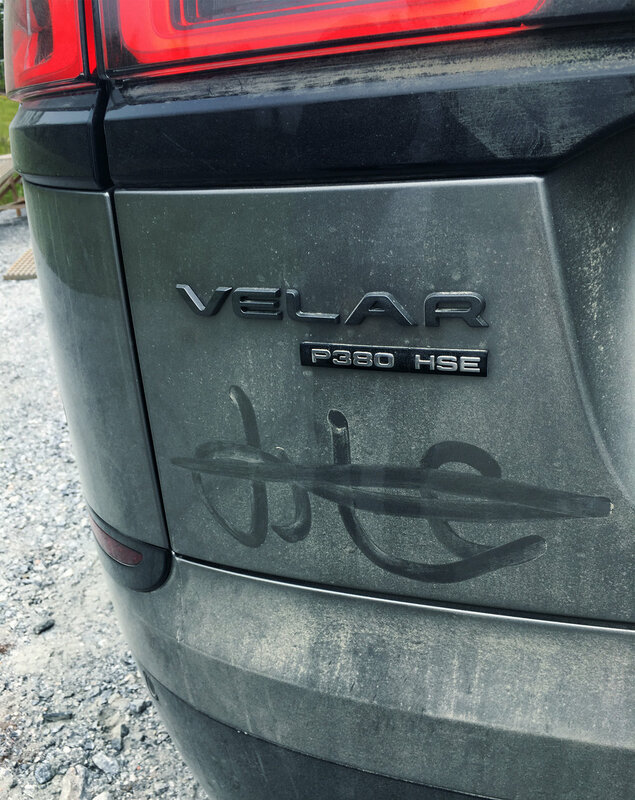 In addition to the generous seating, the new car should merit the Velar mantle by offering considerable off-road capability. 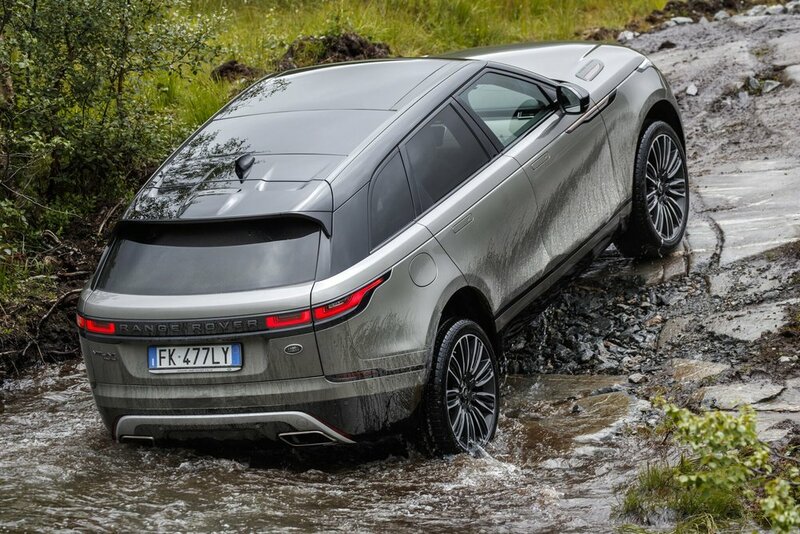 For starters, the Velar likes to swim— she uses wade sensing to take on surprisingly deep bodies of water, boasting a class-leading wading depth of 650mm (600mm with coil springs). All-wheel drive with Intelligent Driveline Dynamics and active locking rear differential ensure Rangey’s signature all-terrain capability and maximum driver engagement on-road, while Terrain Response 2, All Terrain Progress Control, Low Traction Launch, Hill Descent Control and Gradient Release Control help take the guess work out of the messier bits. The Velar features a sophisticated all-wheel drive system, four-corner air suspension, class-leading ground clearance of 251mm (213mm with coil springs). For you boating types, the Velar sports towing capacity of up to 2,500kg complemented by the Advanced Tow Assist function – the driver reverses the vehicle with trailer attached using the Touch Pro Duo rotary controller, and with no need to counter-steer. 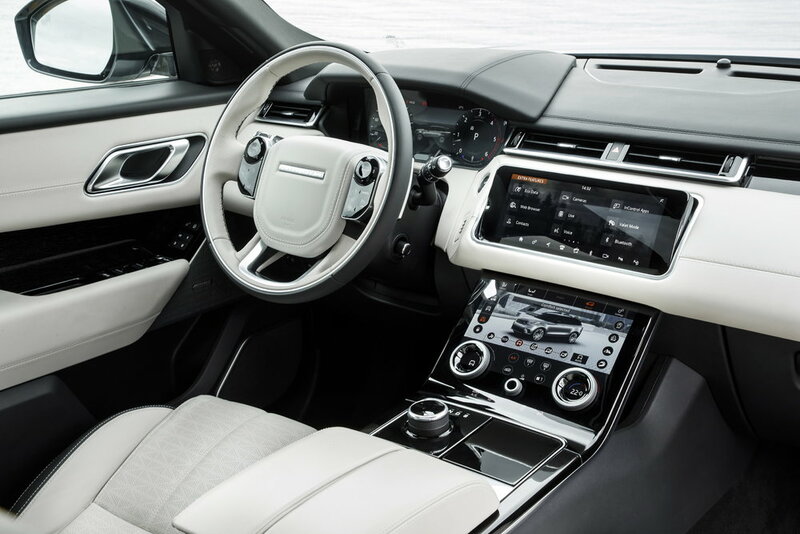 Inside the Velar manages to be lush yet simplistic; sophisticated yet accessible. An unwavering belief in reductionism has been fully employed, with switches being kept to an absolute minimum to help create a calm sanctuary. 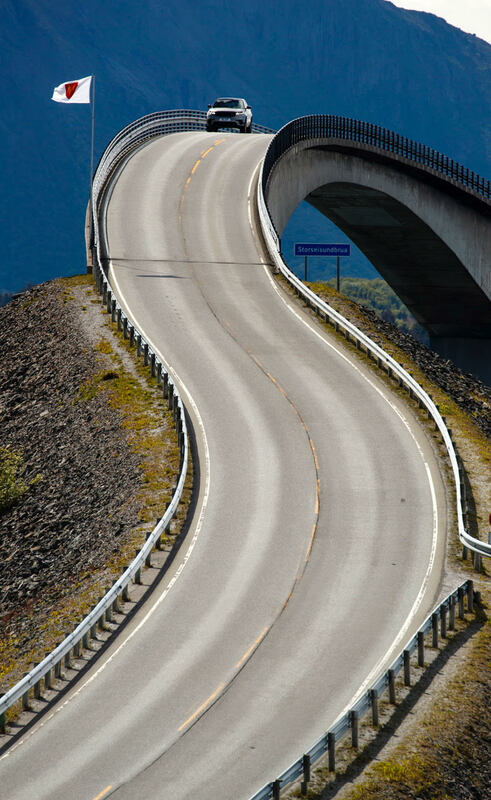 At every turn the car’s technology underpins its class-leading aesthetics. Design purity is emphasised by super-slim Matrix Laser-LED headlights and flush deployable door handles. A new state-of-the-art Touch Pro Duo infotainment system, featured two high-definition 10-inch touchscreens for unrivalled functionality and intuitive operation. The Velar is more than a vehicle, it’s a kind of mobile caregiver set on looking after driver and passenger, but never overreaching. Which is why it features a full suite of advanced safety systems including. Reverse Traffic Detection and Driver Condition Monitoring. But it’s not just about comfort and luxury— the flush deployable door handles emphasise Velar’s reductive, sculptured form, and contribute to the low drag coefficient of only 0.32 – this is the most aerodynamically-efficient Land Rover ever produced. The new Touch Pro Duo infotainment system which is the centrepiece of Velar’s interior. Touch Pro Duo features two 10-inch high-definition touchscreens integrated seamlessly behind secret-until-lit surfaces. These slim, intuitive displays work in harmony with the cabin architecture while adding an overall sense of modernity congruent with the vehicle’s exterior design. Perhaps because the name velar is evocative of skin, this Range Rover offers a sustainable, premium textile seat material as an alternative to leather. The Dapple Grey material was developed together with Kvadrat, Europe’s leading manufacturer of high-quality design textiles, and is complemented with Suedecloth inserts in Ebony or Light Oyster. The light, stiff, aluminium-intensive body, together with double-wishbone front- and Integral Link rear suspension provides the perfect basis for agile handling, superior ride comfort and outstanding refinement. 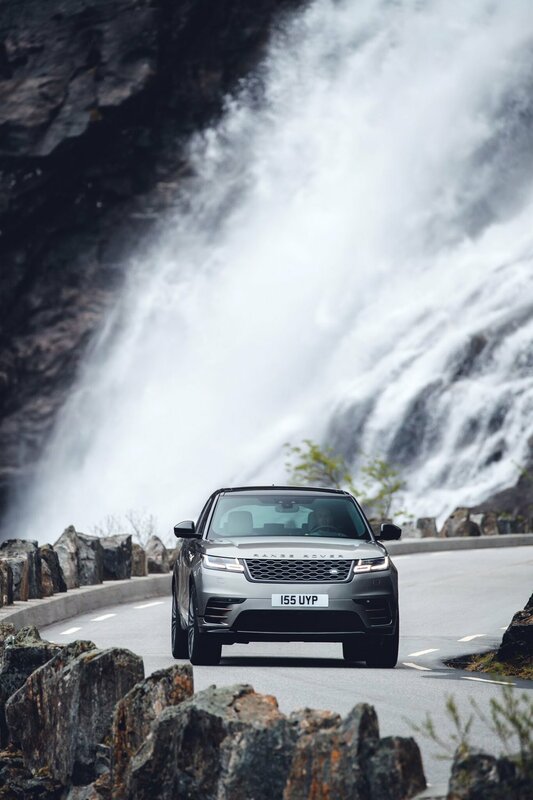 It also delivers exceptional levels of crash protection, and the Velar has been developed to meet the most demanding crash test regulations worldwide. 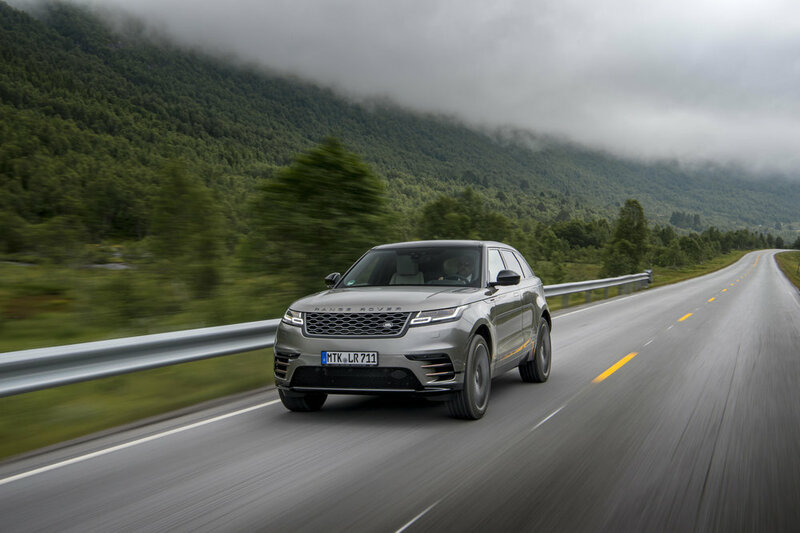 Combined with a comprehensive restraints system that includes six airbags, and a suite of advanced driver assistance systems including, Adaptive Cruise Control with Queue Assist and an Adaptive Speed Limiter, the Velar integrates the latest safety technology. 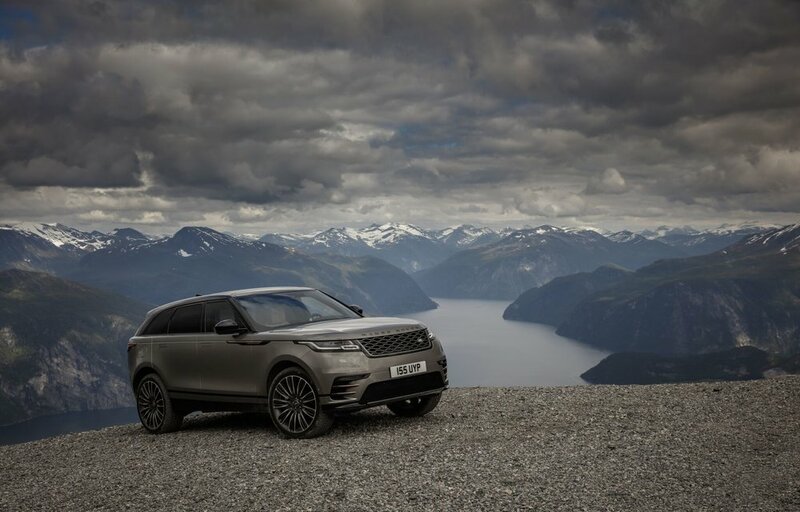 Thoroughly British in comportment, the Velar is designed and engineered at Jaguar Land Rover’s development centres in the UK, Velar will be produced at the company’s Solihull production facility, UK. Coming to a showroom near you, the Velar is destined to have skin in the SUV game.